This other Binscombe is a place where things go bump in the night and often in the daytime too. Here you will find stories to fire the imagination, quicken the pulse, and chill the blood. It is a place where waiting for a bus may take a lot longer than you think, where the rustle in the bushes is likely to be something considerably more secretive and more dangerous than a wild animal, where inanimate objects may have strong views of their own, and where past and present sometimes collide with pyrotechnic results. To this inward-looking corner of the Home Counties comes Mr Oakley, a newcomer in the village but one whose family name appears on some of the oldest gravestones. Mr Oakley believes in the comfort, convenience and security of the modern world and he fancies that the past is safely dead and buried. It is a world view that he will have repeatedly challenged by the mysterious Mr Disvan, who acts as his (and our) guide to the winding byways of the bizarre that thread through Binscombe life. Now that Mr Oakley has returned to his ancestral homeland, he will soon discover that reality is a relative concept, and the world outside Binscombe will never seem quite the same again. The Binscombe Tales are stories in the tradition of Clarke’s White Hart and Pratt & de Camp’s Gavagan’s Bar — themselves inspired, no doubt, by the tall tales of pioneer broadcaster A J Alan and Lord Dunsany’s Jorkens yarns. John Whitbourn’s stories are inventive, often whimsical, but unlike those earlier series there is a real bite to them. The Binscombe Tales will entertain you, but also they will unsettle you. Characters and relationships develop, usually not quite as you expect. 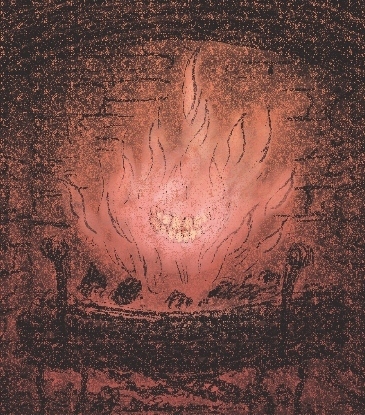 The crackling fire and the convivial clink of glasses in the Duke of Argyll (the Binscombe local) often mask a truly icy undercurrent of the macabre. As a writer, John Whitbourn is original and ‘marvellously inventive’ as The Times reviewer put it. For example, see his story ‘It Has Been Said’, originally published by the Haunted Library in 1989, which anticipated the premise of the Final Destination movies by over ten years; or ‘Hello Dolly’, first published in the Fifth Book of After Midnight Stories, which happened to precede Amy Pond’s domestic nightmares on Doctor Who by almost two decades. Combine that with his dry wit and engaging narrative voice, and you have the essence of what it is that elevates the Binscombe Tales out of genre into literature. Everyone who reads one of these stories will immediately recognize a fresh and authentic voice in English horror-SF-fantasy. And yet, until now, only a small cult readership has experienced the special delights, dreads and wonders of the Binscombe Tales series. Originally issued as limited-edition hardcovers thirteen years ago, the books were long out-of-print and fiercely sought by collectors. Now the stories are available again both in paperback (three volumes) and on Kindle (six e-chapbooks) from Spark Furnace Books, allowing them to reach the wide audience they deserve.